Doctor Cartoon image made in black and white colors. This charming doctor is smiling and friendly. With this cartoon doctor, you can certainly impress your audience for FREE. Our doctor is made of vector shapes, so you can easily modify the colors and shapes to match your design color scheme. He has a stethoscope and loves to help people. 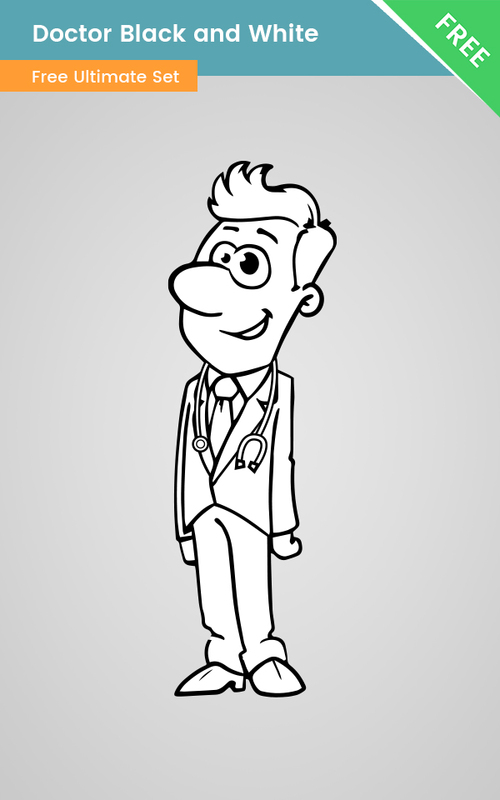 Get this black and white doctor character for free now.